LLFloaterParcel class implementation Parcel information as shown in a floating window from secondlife:// command handler. The following source code is PROPRIETARY AND CONFIDENTIAL. Use of this source code is governed by the Linden Lab Source Code Disclosure Agreement ("Agreement") previously entered between you and Linden Lab. By accessing, using, copying, modifying or distributing this software, you acknowledge that you have been informed of your obligations under the Agreement and agree to abide by those obligations. 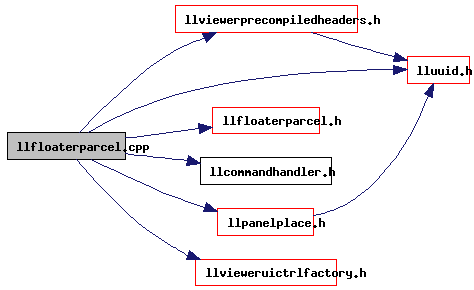 Definition at line 64 of file llfloaterparcel.cpp. Definition at line 39 of file llfloaterparcel.cpp. Referenced by LLFloaterParcelInfo::LLFloaterParcelInfo(), LLFloaterParcelInfo::show(), and LLFloaterParcelInfo::~LLFloaterParcelInfo().